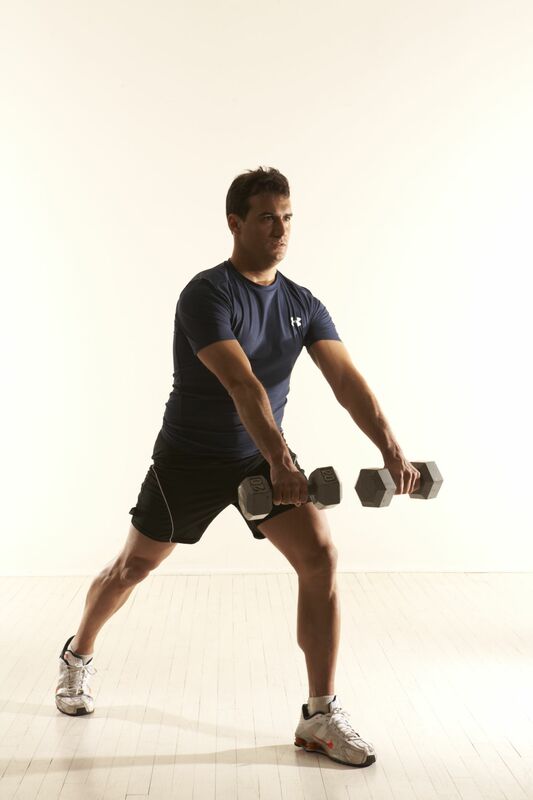 A: Start in a lunge—right leg back, left leg bent with knee over your toe—hold two weights in front of you at the waist level. Before starting you should feel some challenge. 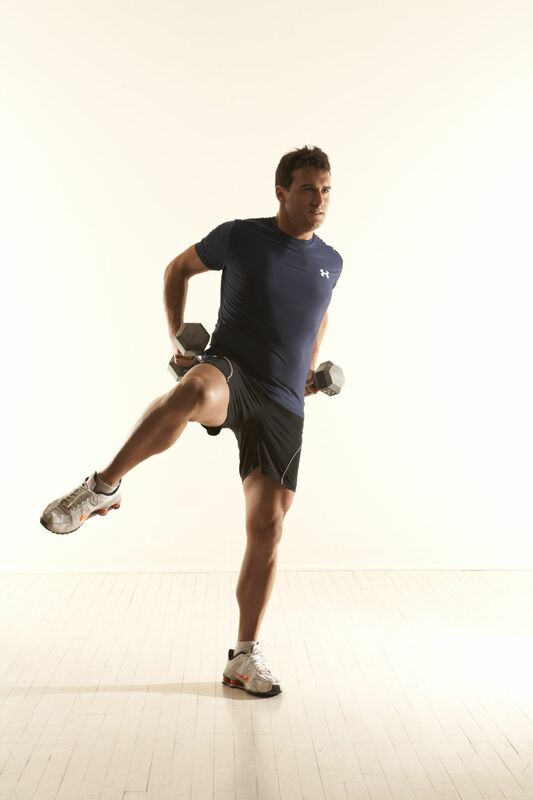 B: Push off with your right toe and raise your right leg until your thigh is bent to the side while simultaneously bending your elbows toward your body in a rowing motion. You will feel muscle tension in your upper, middle back, core and hip. Return to starting position. Repeat 15 times, then switch legs. This is one set. and…if you have time try adding this exercise!